Wildfire launched websites for Commercial Realty North Carolina and Village Tavern, both based in Winston-Salem. The agency’s campaign for Guilford College in Greensboro was the 2019 Grand Award winner in the CASE National Platinum Awards total advertising campaign category. Love Affair produced a brand film for Temperpack. The nearly two-minute clip highlights a new product designed to replace Styrofoam in thermal shipments without contributing waste to landfills. The spot was produced over several days last year. 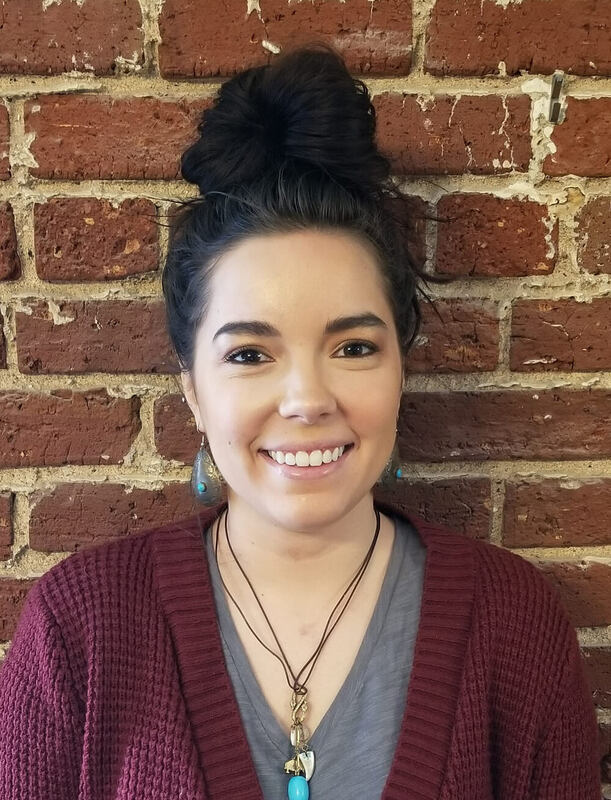 Addison Clark is doing rebranding work for Mental Health Professionals, a Richmond-based mental health agency. Work will include website development and ongoing marketing services. Living Well Today, a Henrico-based alternative medicine practice, hired the agency to provide services including website and social media management, paid advertising, and search engine optimization. 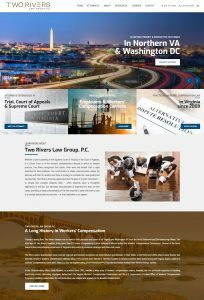 Two Rivers Law Group’s new website. TribleWork developed a website for Venebio Group, a Richmond-based life sciences consultancy. The Hodges Partnership developed the website copy and is working with Venebio to support ongoing brand and marketing efforts. Hodges hired Evans Mandes to its account services team. He is a VCU graduate. The PR firm also added three spring interns: D’Eric Watson and Bradley Credit, communication majors at VCU; and Aaron Kurz, a Hampden-Sydney grad. Five19 is lead agency for Texas-based Methodist Retirement Communities. Work will include branding and digital services. Shenandoah Valley Westminster Canterbury in Winchester hired the agency to complete an ad campaign and brochures. Locally based Care Advantage hired Five19 to provide digital services and a new website. 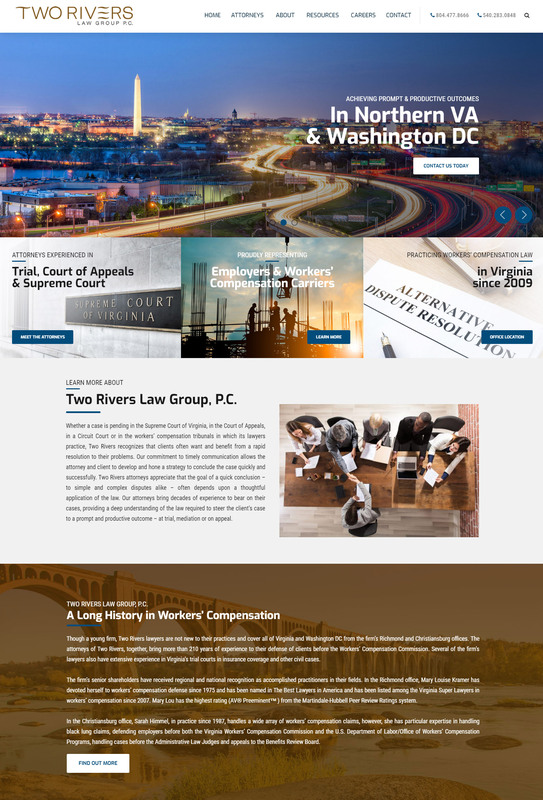 Jonas Marketing created a website for Two Rivers Law Group, a practice focused on workers’ compensation law with offices in Henrico and Christiansburg. West Cary Group worked on Union Bank & Trust’s pending rebrand to Atlantic Union Bank. The agency helped the bank narrow down rebrand ideas to a few top choices, which it then tested with Union customers. 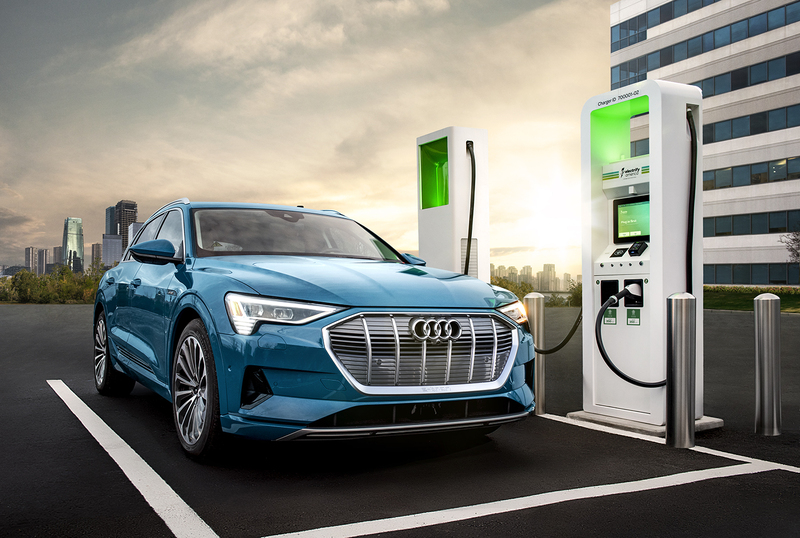 The new campaign for Electrify America, a Volkswagen subsidiary based in Reston, which highlights Audi’s e-tron, a forthcoming electric SUV. Barber Martin Agency picked up two new clients. DoodyCalls, a pet waste management franchise in Charlottesville, is getting a brand update with a website refresh, outdoor ads and digital content. The agency also is working with Scott’s Addition neighbor Courthouse Creek Cidery, which operates a satellite taproom in the neighborhood in addition to its Goochland facility. Ndp created a website for University Children’s Health, part of Texas-based University Health System. Work included content strategy and design. Todd Wright Photography worked with Tilt Creative + Production and Nick Kleczewski, a Richmond-based video creative director with Audi of America, on a promotional campaign for Electrify America, a Volkswagen subsidiary based in Reston. Images highlighted Audi’s e-tron, a forthcoming electric SUV. Burford Advertising produced a PSA for local nonprofit ChildSavers. The 60-second spot, which the agency produced pro bono, features a testimonial from an area middle school teacher about services she received as a sexual abuse victim. Arlington-based Wayne Westbrook filmed and edited the spot, which is airing on CBS 6, ABC 8, NBC12 and Fox Richmond. Burford previously worked with ChildSavers on its name change from Memorial Child Guidance Clinic. Fable is working on a rebrand for Danville Science Center. Work includes research, brand strategy, messaging, logo and visual identity. The agency completed a rebrand for New Media Systems, a Henrico-based film production company. Work included logo and tagline. The City of Richmond and Chesterfield, Hanover and Henrico counties launched a website and yearlong media campaign to highlight dangers of opioid use. Called Opioid Solutions RVA, the campaign includes a website with information about opioids and services available for treatment, recovery and prevention. The $100,000 campaign will include billboards, traditional broadcast and internet radio, social media, television and print. Torx picked up VSC Fire & Security as a client. Work will include a website redesign and management of social media, search engine and email marketing. The agency developed a website for North Carolina-based Specialty Lighting. The mobile-friendly site includes a product catalog and interactive map for locating distributors. Torx hired Megan Fox as a content marketing specialist. 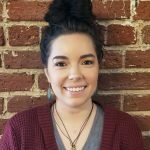 She is a graduate of Indiana University of Pennsylvania and previously worked at West Virginia-based InnerAction Media. Advertising Club of Richmond held its annual Ad Bowl Feb. 5 at BES Studios. 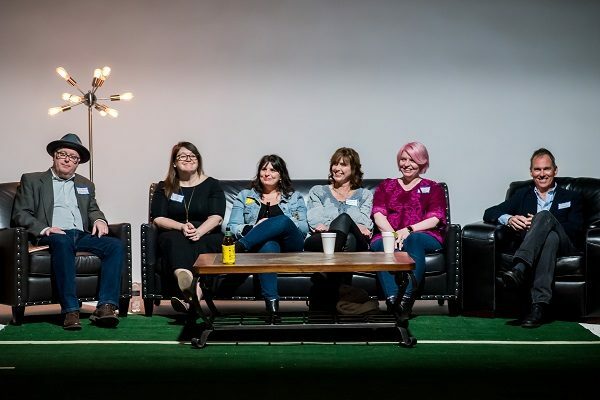 Panelists who reviewed this year’s Super Bowl ads included Lee Wall of Raison Brands; VCU ad strategy assistant professor Jessica Collins, Kerry Ayers of The Martin Agency, Melanie Cox of Spang, C.J. Hawn of Elevation; and VCU film studies associate professor Oliver Speck. This year’s Ad Bowl panel, from left: Lee Wall, Jessica Collins, Kerry Ayers, Melanie Cox, C.J. Hawn and Oliver Speck.